Executive Coaching at CSA Consulting aims to enhance both the performance and well-being of the individual within their work context. Typically we focus the executive on enhancing leadership effectiveness through strengths development and developing coaching, interpersonal and organisational competencies in our clients. Our Executive Coaching is focused on the attainment of realistic yet stretching goals that are both SMART and grounded in business and personal need. Our expertise in the field of facilitating behavioural change is drawn from the fields of both business and organisational psychology, giving us experience and expertise in modifying and enhancing a wide range of human behaviours. 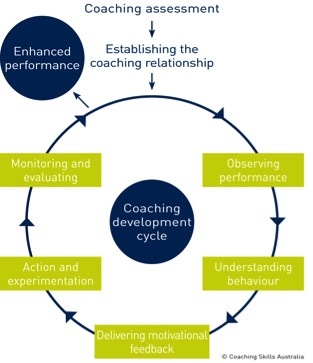 Our coaching process is normally preceded by a rigorous assessment that identifies the strengths and development areas as well as forming the basis of the coaching development plan. As psychologists we have the advantage of being able to strategically use a broad range of psychometric tools (eg. Hogan Development Survey, FIRO-B & MLQ) to enhance the feedback and coaching we provide to our executive clients. Coaching is usually conducted in face-to-face meetings, often at an off-site location. The frequency and regularity of coaching sessions depends on the particular needs of the client and is negotiated at the outset of the coaching process. The coaching relationship usually extends over a number of months with regular fortnightly or monthly 90 min sessions. Our executive coaching process falls into two parts; 1.The assessment phase that rigorously identifies the strengths and development areas which forms the basis of the coaching development plan. This assessment is performed in full knowledge of the current and future business context that the individual faces. 2. The coaching phase that seeks to build skill and capability in the requisite areas in a SMART and sustainable manner. This process provides the challenge and support necessary for individuals to develop and function at their optimal level. The benefits of executive coaching can be assessed at the level of client satisfaction, learning, behavioural change and team ∨ganisational performance. There are also a number of more subjective indicators of organisational well being like staff climate, morale, intention to stay job satisfaction and organisational stress that should correlate with effective coaching. • Coaching is focused on accelerating the leadership development the manager or executive in the context of the strategic requirements of the organisation. • Coaching maximises the effectiveness of internal talent without the prohibitive costs of recruiting additional expertise. • Coaching is a cost-effective and pro-active method of improving work performance and increasing employee engagement & retention. • Coaching also enhances satisfaction and career opportunities by facilitating transitions from technical or operational to more strategic roles or from senior associates to partners. • Coaching is a positive and challenging activity that helps executives maximise their leadership potential at both a personal and professional level. Click here to download our Executive Coaching brochure. What is the ROI for executive coaching? Increasingly coaching is seen as the most effective method to enhance leadership development. A recent study on a Fortune 500 company has estimated the ROI of coaching at 529% (Anderson 2001) and when intangible benefits from employee retention were included, it boosted the overall ROI to 788%! The cost of not developing executives is prohibitive. It has been estimated that the true cost of replacing a derailed executive including, recruitment, loss of productivity and upskilling time is around $500,000! My own research (MacKie, 2015) on strength-based leadership coaching found a highly significant (13%) increase in transformational leadership (as measured by other raters) after only 3 months giving an ROI of 856%.